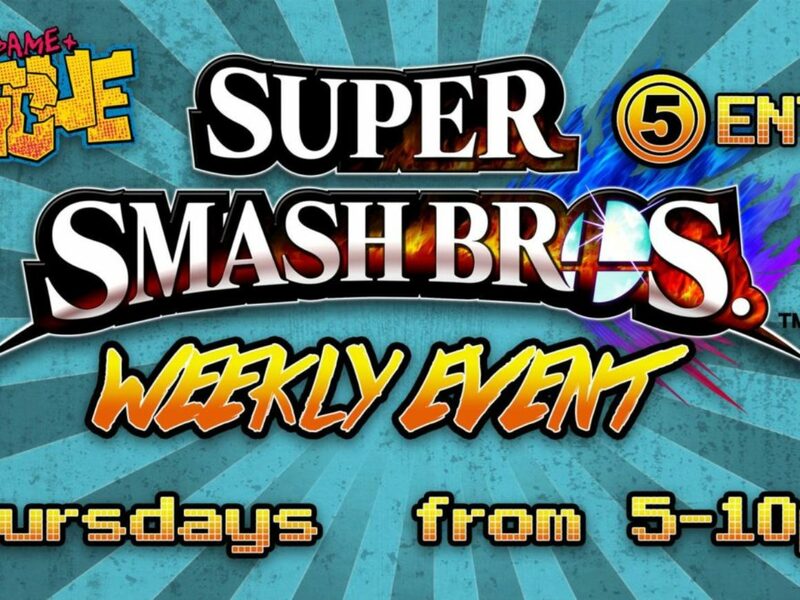 The Jax Smash Weekly series happens every Thursday at Jacksonville’s best game store/arcade: Video Game Rescue! Sign ups start at 5pm and tournaments start at 6:30! 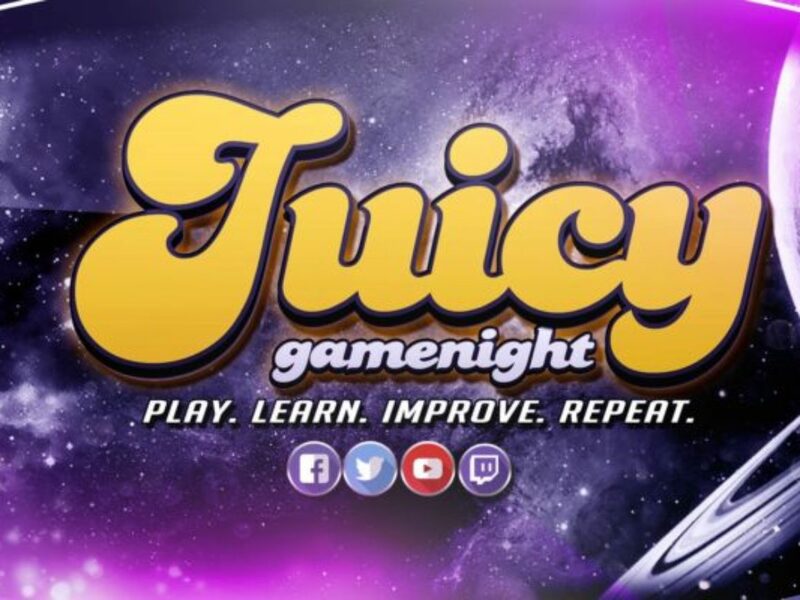 This tournament’s main games will be Melee and Smash 4 and will feature singles for both! BYOC (Bring Your Own Controller) + USB cable! Please bring setups if you are able too!!! SET-UPS ARE FIRST COME, FIRST SERVE!!! 11pm- Clean up & End of event. – You are encouraged to order as much food as you want at Buffalo Wild Wings. PLEASE DO NOT BRING OUTSIDE FOOD!!! – If you bring a setup for the tournament, you may be ask to remove it once the tournament is used for is complete. We do this to not over use the electricity and be able to fit more setups for the next game. – Please be courteous to all other players, spectators, and employees in the establishment. – Please respect everyone religion and personal space. – Around children or concerning adults, please keep cussing and foul mouth to a minimum. – Please report to head TO if you plan on leaving the venue during or right before bracket. – Please bathe and don’t be afraid to double up on deodorant. Smelling nice is a courtesy EVERYONE deserves. >All matches will be 2/3 except for Winners/Losers/Grand Finals which will be 3/5. > Gentleman’s Clause: Players can agree on a stage and/or music to start on as long as both players agree to it & does not stall time. >Games are 2/3 except for Losers Finals, Winners Finals, & Grand finals which are 3/5. > Games for all except for Losers Finals, Winners Finals, & Grand finals which are 3/5. > Winner must keep characters but allowed to switch order. >Winner must keep exact same team (including assists), but may switch order of assists via character select screen. Winner must keep exact same team (including assists), but may switch order of assists via loading screen. Loser may switch. >Game Settings: 4 Stocks, 8 Minute Time Limit, Items are disabled, Pause SHOULD be off. >Winning player of the preceding match bans a stage from the full list of stages, both Neutral and Counter-Pick. Does not apply to Best of 5 sets. >The Losing player of the preceding match picks a stage for the next match. Cannot choose the stage banned in the previous step, nor a stage they’ve already won on during this set, unless agreed. >The winning player of the preceding match may choose to change characters. >The losing player of the preceding match may choose to change characters. >The losing player of the preceding match may change their controller port. >Glitches such as Ice Climbers’s Freeze Glitch and Mewtwo’s Soul Stunner are banned. >Pause option is disabled in the game menu. If left on, accidental pausing mid match forfeits a stock but only with the approval of the TO. >You may not choose any stage you have won on during a set, unless agreed by both players. >A tie is determined by most stocks, and then if still tied, by percentage. If percentage is tied, the match is fully replayed. >Playing as Master Hand is banned. >Smash 4 Singles Settings: 2 stock, 6 Minutes, Items set to off, Customs set to off. >Smash 4 Doubles Settings: 3 stock, 8 Minutes, Items set to off, Customs set to off. >Gentleman’s Clause: Any stage may be played on if both players agree to & does not stall time. Addition to that, players may do their match on another game as long as they agree to the game’s rules and both agree to it willingly. >If each player has one stock remaining and the match ends due to a suicide move (Ganon’s side-B, DDD’s swallow, holding someone in a grab on a platform as it moves out of the boundaries, etc. ), the player who initiated the move wins. >Winning player is not locked into the same character for the next match, but has to pick before loser selects character. >Mii Fighters are legal. Each setup will have a 1-1-1-1 Mii Brawler/Swordsman/Gunner available for use (Using Default A Mii). No other specials for Mii Fighters will be allowed. Players are not allowed to transfer existing Miis to a setup. >Pause option should be disabled in the game menu. If left on, accidental pausing mid match forfeits a stock but only with the approval of the TO. >First stage picked by striking from neutrals, P1-P2-P2-P1 order. >The winner bans 1 stage and the loser counterpicks. >Stage Clause: A player/team may not pick the LAST stage they previously won on during the set. >All games are 2/3 except for Losers Finals, Winners Finals, & Grand finals which are 3/5. (1-1-1-1-1-1) and subsequent games in the series use winner-strikes-one. When choosing stages, a player cannot return to any stage they have previously won on without the consent of their opponent (modified Dave’s stupid rule). >Characters for the first game are chosen double-blind (at the same time). For successive matches, the winner chooses their character first, and then the loser chooses their character.